Lucky break for Artie; the hostages seem to have escaped! 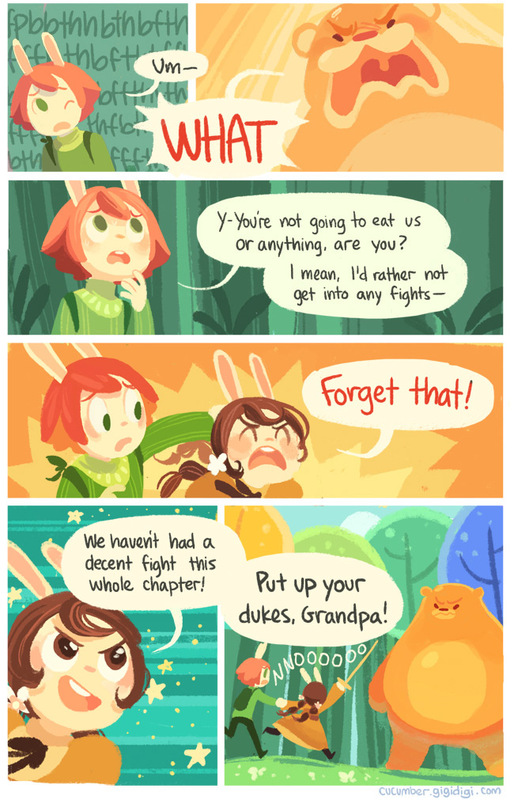 COMIC SHOUTOUT: Cucumber Quest by gigi d.g. 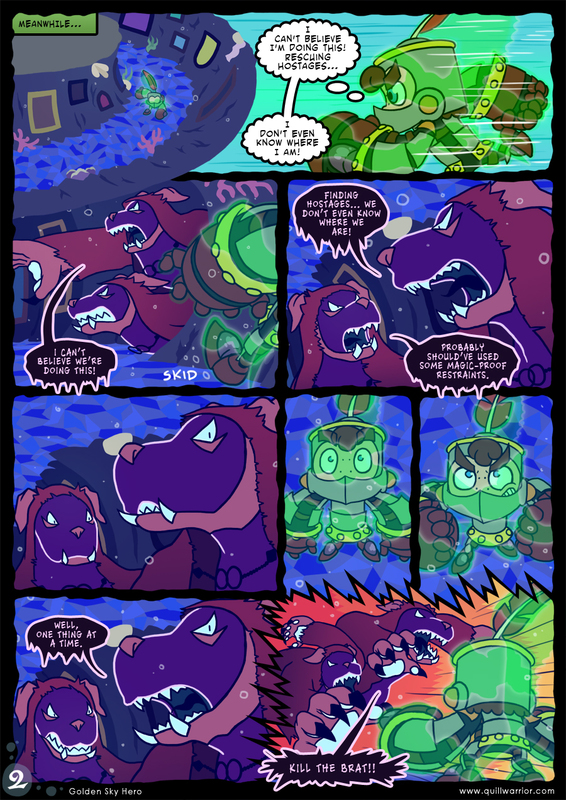 Hahah I really laughed with the parallel dialogue lines… Good work on this page!